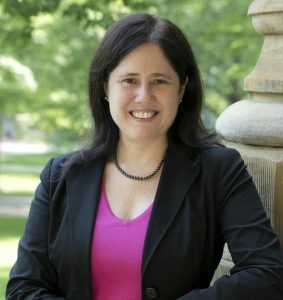 Beth Winkelstein is the Vice Provost for Education and Eduardo D. Glandt President’s Distinguished Professor in the Department of Bioengineering at the University of Pennsylvania where she also teaches Neurosurgery. She received her BSE in Bioengineering from Penn and earned a PhD in Biomedical Engineering from Duke focused on neck injury biomechanics. She joined Penn’s faculty in 2002 after completing a post-doctoral fellowship in the neuroimmunology of pain in Anesthesiology & Pharmacology at Dartmouth. Dr. Winkelstein’s lab studies the biomechanical mechanisms of painful spine and joint injuries, and is defining the pathophysiological cellular mechanisms driving chronic pain, mechanotransduction of pain, and potential diagnostic and therapeutic approaches for these disorders. Dr. Winkelstein is a Fellow of the Biomedical Engineering Society and the American Society of Mechanical Engineering, and was elected to the American Institute for Medical and Biological Engineering. She was awarded a Whitaker Young Investigator Award, NIH Career Award, NSF-CAREER Award, the ASME Fung Young Investigator Award for the most promising young Bioengineer, and the ASME Mow Medal for contributions to the field of bioengineering through research, education, professional development, leadership and mentorship. Dr. Winkelstein has served as the primary research mentor for 45 graduate students and postdoctoral fellows, and over 70 undergraduates. She serves on the Editorial Board for Spine and has served as the Editor of the Journal of Biomechanical Engineering since 2012. She is on the Board of Directors of the Biomedical Engineering Society, is actively involved in the ASME-SBC, the World Congress of Biomechanics, and several clinical meetings. Open House and Luncheon: 1:00-3:00 p.m., immediately before the ceremony. The ceremony will be live-streamed. Please return to this page for an active link. Sunita Parasuraman is the Head of Treasury at Facebook; responsible for Facebook’streasury operations, capital markets and risk management programs. She built Facebook’s global Treasury team from scratch and manages teams based in California, Dublin, Singapore and Sao Paulo. Prior to joining Facebook in 2011, she held senior Treasury positions at Apple, Genentech and VMware. She started her career as a software engineer. Sunita holds a bachelor’s degree in Engineering from the Indian Institute of Technology (IIT), Bombay, a master’s degree in Engineering from the University of Pennsylvania and an MBA from the University of California, Berkeley’s Haas School of Business. 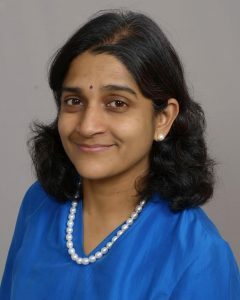 Sunita is the author of two books, The Panchatantra and Going to America: An applicant’s guide to higher studies in USA. Open House and Luncheon: 12:00-1:30 p.m., immediately before the ceremony. Since then, Integral has become a premier provider of sustainable real estate and community solutions in mature and emerging markets across the United States and, more recently, internationally. The Company is vertically integrated with subsidiaries in the community development, commercial real estate, investment management, property management, and program management fields. A community development, commercial real estate and construction professional since 1979, Egbert has developed and/or built most project types, including residential, office, retail, institutional and mixed-use projects. For 13 years from early 1980 to late 1992, he helped to grow an Atlanta-based real estate and construction company into the nation’s 3rd largest African-American owned business, with annual revenues of about $200 million. Over almost a quarter century, Integral has implemented scores of public-private partnerships that promote “responsible” community development and commercial real estate. It is well-respected for its expertise in affordable, workforce, luxury, and mixed- income housing solutions, often as components of master planned, mixed-use and Transit Oriented Developments. Today, Integral is a diversified, 300-person organization with projects in the mid-Atlantic, Southeast, Southwest and Western regions of the United States. The Company is head- quartered in Atlanta, with offices in San Francisco, Los Angeles, Dallas and Denver. Integral and Egbert have received numerous awards, and are regarded nationally as innovators in the field of urban development and revitalization. Egbert’s policy positions are often sought on issues of housing, community economic development, regional planning and development, public-private partnerships and K-12 education reform. 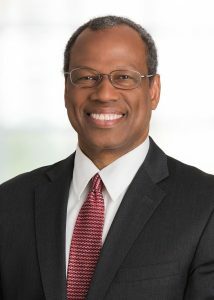 In 1990, he was elected as the eleventh graduate in the University’s then 250-year history to be named to the “Gallery of Distinguished Engineering Alumni” of the University’s Engineering School. 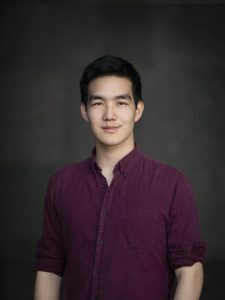 Johnathan D. Chen is graduating from the Jerome Fisher Program in Management and Technology at the University of Pennsylvania with a dual degree in Electrical Engineering and Business. At Penn, Johnathan is most proud of his time as Electrical Lead of Penn Electric Racing, where he worked with a bright group of student-engineers to design America’s first student-built 4WD vehicle and quickest student-built racecar. In addition, Johnathan served as president of the Engineering Deans Advisory Board, captain of Penn Speech and Debate, and as a teaching assistant for various courses. He was the recipient of the 2018 Eicher Award. Johnathan’s favorite thing about Penn is its depth. He felt he grew most during his senior year, when the most satisfying days would start with discussions on Senior Design or an English paper and end with friends photographing the campus skyline or asleep at 10PM. After graduation, Johnathan will attend Tsinghua University as a Schwarzman Scholar, where he will pursue a master’s degree in Business and Economics. 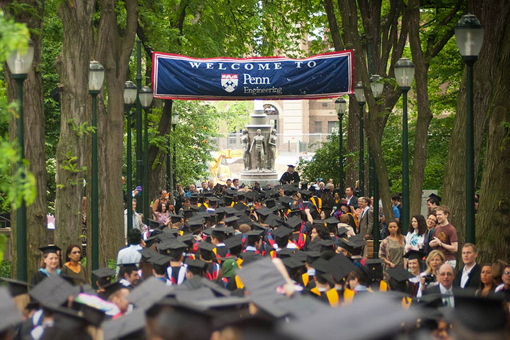 Family members and friends who are unable to attend Penn’s 263rd Commencement may view the ceremony online. Webcast coverage of the ceremony from Franklin Field will begin at 10:15 a.m. EDT on Monday, May 20, 2019. Visit the University’s Commencement website for more information regarding this ceremony. *Please note that individual student recognition (in which students walk across the stage) is done only at Penn Engineering ceremonies. Tickets are not required for any of the Engineering ceremonies. No RSVPs are required, and there is no limit to the number of guests per student. A photographer from Legacy Photographics will be at each ceremony. Each student will be photographed as they cross the stage. Legacy Photographics will contact each graduate after the ceremony with information on how to purchase these photos. If you have any questions, please contact Legacy directly at 800-444-2550 or 610-279-1791. You may also visit their website, www.legacyphoto.com. All questions regarding student eligibility to graduate should be directed to the Engineering Office of Research and Academic Services at 215-898-7246.